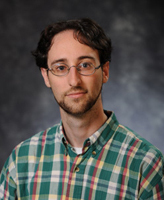 Notre Dame Assistant Professor Michael (Tzvi) Novick has been appointed Abrams College Chair of Jewish Thought and Culture in the College of Arts and Letters’ Department of Theology. Novick holds both a Ph.D. and a J.D. from Yale University. His scholarship ranges across a broad spectrum of themes and genres in late antiquity: from rabbinic law and ethics, to liturgical poetry, to narratological analysis of biblical and Second Temple Judaism texts. He is the author of What is Good, and What God Demands: Normative Structures in Tannaitic Literature. The book is a revision of his dissertation, which was awarded Yale’s Theron Rockwell Field Prize. In addition, he is the author of over 30 articles in top-tier journals such as The Journal of Biblical Literature, The Journal of Jewish Studies, and The Catholic Biblical Quarterly. “This is a terrific appointment and a great fit for the Abrams Chair,” says Professor J. Matthew Ashley, chair of the Department of Theology. “Tzvi Novick has a sterling record of research and publication—already the equal of many senior scholars—an impressive record of teaching at all levels, and a generosity and effectiveness in meeting with and mentoring graduate students in different areas of the department, reflecting his own broad knowledge of Jewish thought and culture. In his research, Novick examines how legal and ethical categories develop. His publications also address modern constitutional theory and tort law, as well as law and narrative in the Hebrew Bible, the use of the Hebrew Bible in the Second Temple period, early rabbinic law in its Greco-Roman context, ancient biblical translation, and liturgical poetry in late antiquity. He is a member of the Society of Biblical Literature and the Association of Jewish Studies, and serves on the editorial board of Prooftexts: A Journal of Jewish Literary History. The Abrams professorship was established by Ann Uhry Abrams, an author and specialist of 18th- and 19th-century American art history, and the late Edward Abrams ’50, who was chairman of the board and chief executive officer of Abrams Industries, a company founded by his father, Alfred Abrams ’21. The couple has broadly supported the University, endowing a library collection in Judaica, a scholarship and fellowship, and an endowment to further Jewish-Christian dialogue. Members from four generations of the Abrams family have also attended Notre Dame. The Abrams chair was previously held by Rabbi Michael A. Signer, who died in January 2009 at the age of 63. An internationally respected scholar with wide-ranging expertise, Rabbi Signer specialized in the history of Jewish-Christian relations, as reflected in Christian and Jewish interpretations of the Hebrew scriptures in the medieval and modern periods. Originally published by Kate Cohorst at al.nd.edu on May 24, 2012.